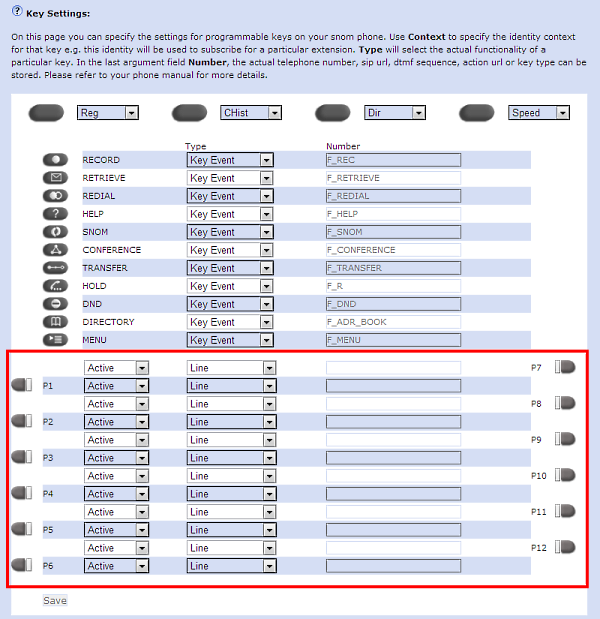 The function keys on a snom are designed to allow you to program them based on your individual requirements. The snom 300 features six programmable buttons on the right hand side of the phone, whilst the snom 320, 360 and 370 feature twelve. 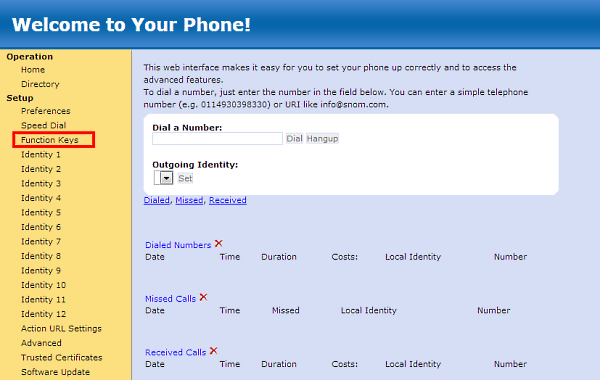 To setup a speed dial, navigate to the web interface of your device. From the left hand menu, click on Function Keys. The keys on the screen are arranged in exactly the same way as on your physical phone. To setup a speed dial, change the Type dropdown box to Speed Dial and enter the phone number you wish for it to dial in the Number field alongside. For example, below we have set up for function key three to automatically dial 01225 800800 when pressed. When you have finished making your changes, click Save to apply them to the phone.